The lastest installment of the Rifleman's collection. This cd is really an inflomercial of his next albums to drop in the near future. Definitely for the fiending heads!!! 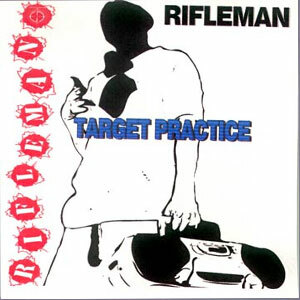 Target Practice is another incredible creation of music organized strictly for the fans..some songs were done in germany on tou,,others were done @ my house when i first got my cubase set up...just an appetizer if you will... Released 2005.